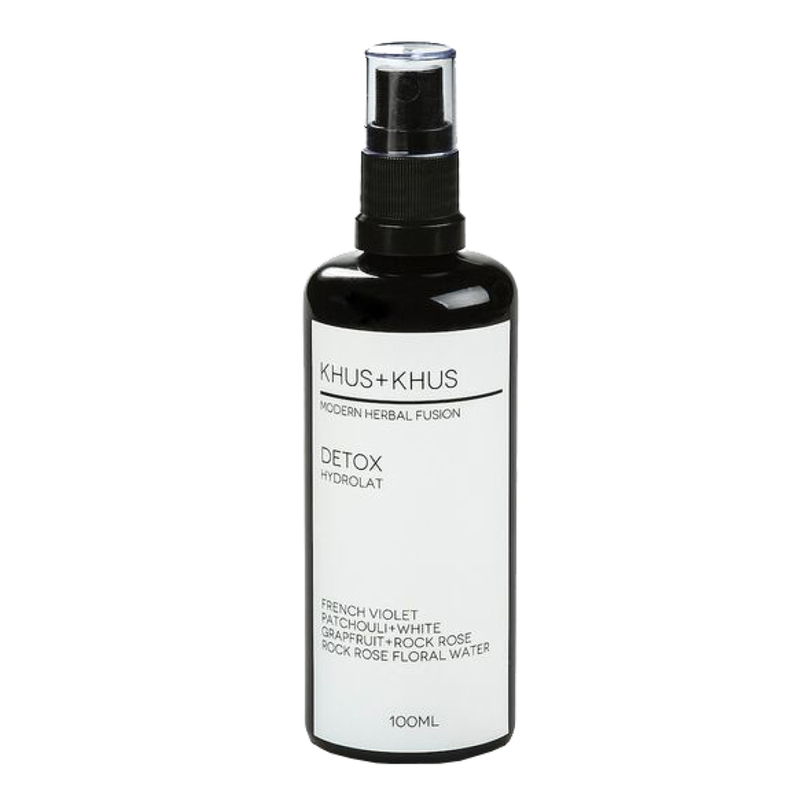 Detox Hydrolat by KHUS+KHUS is a high performance skincare treat that gives the skin a plumped and purified appearance. This formula contains ingredients that provide a look of moisturization, toning, and calming perfect for oily, acne-prone, and mature skin. Detox Hydrolat evokes warm and sweet aromas that offer a sense of grounding, and help stimulate a feeling of high self-esteem and happiness. Can be combined with face serums to assist in blending. Use throughout the day and night to lend a calming sensation to the nervous system, perfume the body, and moisturize the skin. A very soothing, hydrating, and heavenly scented hydrolat! Calms inflamed skin, provides aromatherapy benefits, a truly beautiful product. I never want to run out!